There is nothing that I love more than a great clutch. 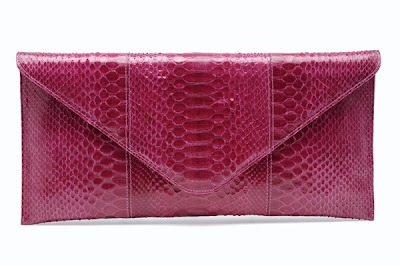 I love this Adriana Castro Annie Clutch in Python skin. The shape is classic. This is definitely a bag that you will still be able to wear many years from now. 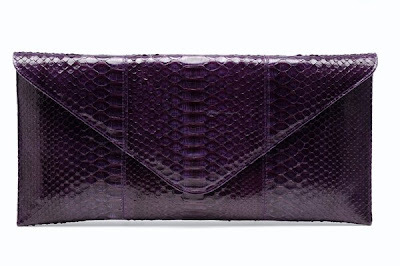 An envelope clutch is chic and stylish yet completely timeless. I love the colours too. They are bold and exciting and just enough to make you stand out in a crowd. I have been drooling over Adriana's designs for months. I just can't get enough of her classic and elegant bags and fantastic use of exotic skins. Now if only I could find the money to actually make a purchase. 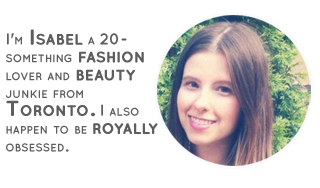 You can check out Adriana's blog Adriana Castro Blog and her website Adriana Castro for more information. Love these clutches - they're super cute! 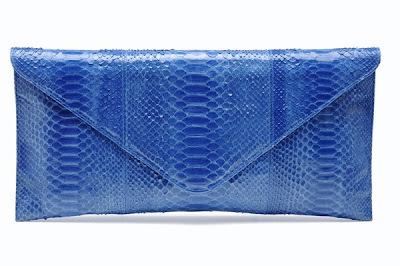 i'm looking for clutches that i can carry around during summer. it's easier than hauling around a larger bag.